Udaipur has become one of the major travel tour destinations in Rajasthan due to the presence of natural beauty along with the ancient heritage monuments and buildings. Udaipur is a calm place and if you want to spend some time away from the busy city life, then Udaipur is the perfect place for you to spend your time with friends or family. The natural beauty, the ancient buildings etc all provides you something worth and also prompts you to visit this beautiful travel place again and again. 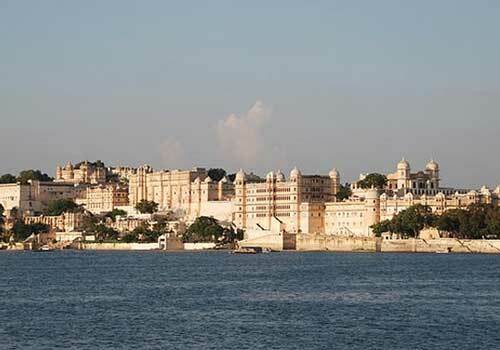 Some of the major lakes in Udaipur include Pichola Lake, Jaisamand Lake, Fateh Sagar Lake, Rajsamand Lake, Udai Sagar Lake, Jiyan Sagar and Swaroop Sagar. 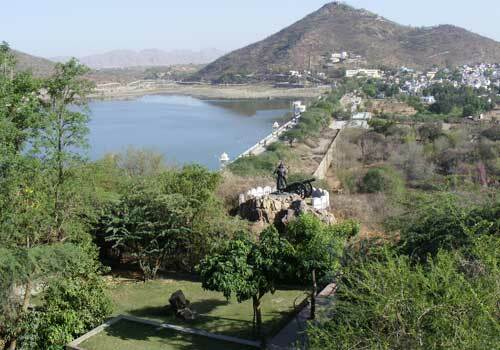 Apart from providing more attraction to the city, these lakes are also the main source of water to Udaipur. These lakes can also be used for recreational activities such as boat riding which helps you to see the places near the lakes in a much better way. Another major attraction of Udaipur is the floating Taj Lake Palace, which is an amazing marble hotel situated in the middle of Lake Pichola. 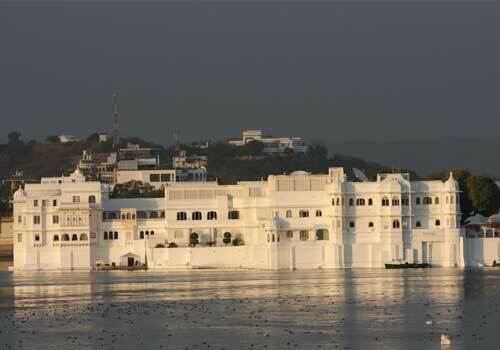 The lake palace had been converted to a luxury hotel of late and is voted as the most romantic hotel in India. In the backdrop of the lake palace, you can see the sky scrapping Aravalli Mountains which makes the floating lake palace in Udaipur more attractive and beautiful. The floating palace becomes more beautiful at night when the glooming moon shines over the palace and makes it a real treat to the eyes. Udaipur is a craddle of festivals and if you want to experience the unique culture and festivals of Udaipur you can plan your travel based on the festival dates. In Udaipur you can visit the famous Mewar Festival which falls in the month of April and this festival is of high importance as far as the heritage and culture of Udaipur is considered. The colorful fairs and festivals of Udaipur are worth watching and it is recommended not to miss these unique festivals during your visit to Udaipur. Based on the climatic conditions of Udaipur, it is recommended to visit this beautiful city between September to March and avoid traveling to Udaipur between April to August when it is summer. Udaipur is well connected to the other major Indian cities by air, rail and road and it makes easy to the tourist to get into this beautiful city in Rajasthan. The nearest airport is Dabok airport (Maharana Pratap Airport) which is around 24 kms from Udaipur. There are a lot of small, medium, luxury and heritage hotels and resorts in Udaipur and you can select your accommodation based on your financial status. All these hotels, lodges and resorts in Udaipur are equipped with all the modern basic facilities and amenities. This entry was posted in Udaipur and tagged city of lakes, udaipur lakes, udaipur rajasthan, udaipur travel, udaipur travle attractions. Bookmark the permalink.